Check out our extensive catering menu. We are happy to customize a menu for your event. 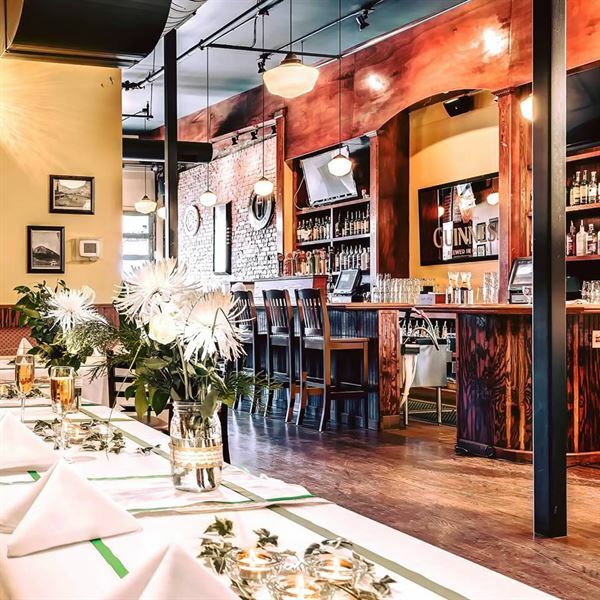 We had our wedding reception at the Limerick Room and we couldn't have asked for anything better. Alan and the Rover staff were incredible to work with. Their attention to detail made it possible for us to enjoy our wedding day and have a really fun time with family and friends. Excellent service. Delicious food. Perfect atmosphere for our wedding. Great staff, great room and the food was delicious. I would definitely use them again for any party or reception. We had a wedding reception for my son at the Limerick Room located in the Irish Rover Pub. The venue was perfect! The space is large enough to accommodate us all. The staff is over the top with the best service ever! The food was AMAZING! I definitely recommend the Limerick Room for any event, and I will be returning for any future events!